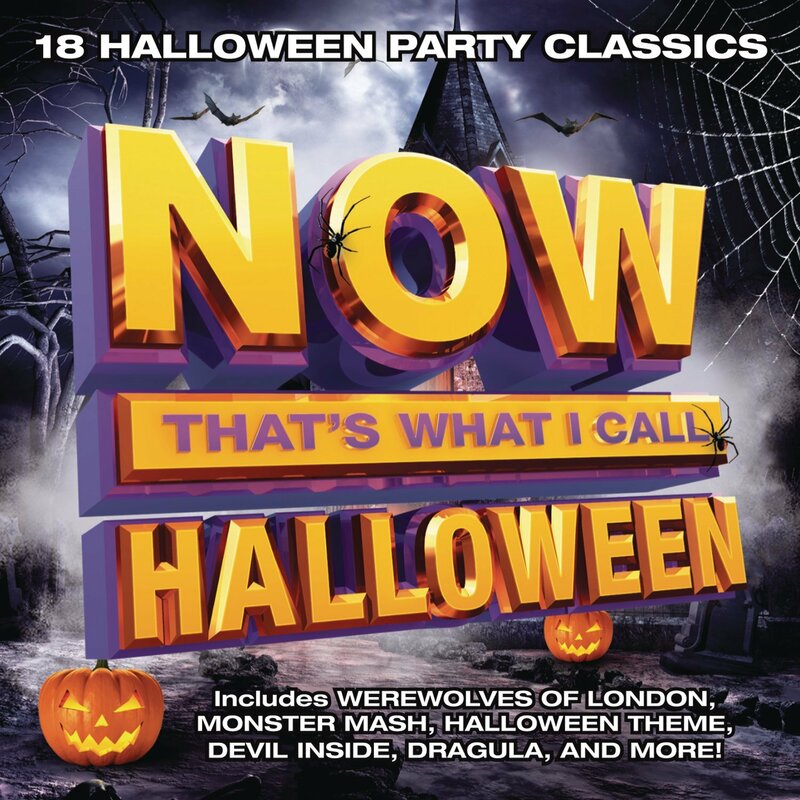 CD Review: "Now That's What I Call Halloween"
It’s so interesting that I was asked to review Now That’s What I Call Halloween, a definitive, all-encompassing compilation of Halloween songs, scary film score highlights, and other soundscapes from the makers of the Now That’s What I Call Music series. It’s the perfect thing to throw on at a Halloween party or when trick-or-treaters are coming and going, and I know a thing or two about the proper way to celebrate Halloween. You see, I invented the word spooktacular. But actually, you know what? That’s neither here nor there. My personal achievements and lasting, priceless contributions to the vernacular have nothing to do with Now That’s What I Call Halloween. This is about the album, which joyfully and wonderfully celebrates this Halloween season, a season defined by jack-o-lanterns, pumpkin-flavored everything, and clever neologisms that combine a well-known superlative word with a word that describes the Halloween season. Here’s a bit of what you will find on the Now That’s Call I Call Halloween compilation, which is, in a word, and I have no choice here, spooktacular. It is a spooktacular album. The iconic main theme from the John Carpenter horror series opens the disc, setting a tone that is both spectacular and spooky, or, if you will, spooktacular. The spooktacular real-life monster man Robert Zhomlenberg, a.k.a. “Rob Zombie” wrote this song about the car from the most spooktacular TV series of all-time, The Addams Family The Munsters. I associate this song about death and going off to oblivion forever with The Stand miniseries, but the song is famous for its cowbell. Upon listening to it again, it’s crazy how spooktacularly little cowbell there actually is in the song. INXS lead singer Michael Hutchence is positively devilish and is so handsome he will make you want to do devilish, spooktacular things. While Jace Everett’s atmospheric True Blood theme song doesn’t really make sense outside of the context of a spooktacular show about werewolves and vampires and white sheriffs, it is a bloody good song. I like my werewolves American and spooktacular, thank you, not English and “spooktaculour,” which is how they spell it in England. Nina Simone always turns in a performance that is nothing short of spooktacular. Oddly enough, this is not the Ray Parker Jr., original but a cover by the uncharacteristically spooktacular Run-DMC. Despite his protests to the contrary, Ray Parker Jr. is spooktacularly afraid of ghosts. I have never heard this song before. I didn’t care for it.